As a country I feel that we have a tendency to undervalue key services due to bad experiences or knowledge of other peoples’ bad experiences. This coupled with a lack of information, knowledge and understanding means these services are on a hiding to nothing. The two service providers that particularly jump to mind are; the NHS and the rail industry. Both regularly receive high levels of bad press and negativity from the public. Both are British institutions with a rich history. Both service a huge population and must be available 24 hours a day and both have obvious financial restraints. The difference between the two, in my opinion, is that people generally see the good in the NHS. They value it as an institution and a provider of important life saving and changing support. The rail industry on the other hand, needed by so many in order to live their ‘preferred’ lifestyles, largely seems to be seen as the enemy. Something only to be used if absolutely necessary and never something to look forward to. So why has this reputation developed? A history of funding cuts has caused a lack of investment. An ageing infrastructure seemingly left to decay led to delays and additional organisational mishaps meant even more delays and even less funding. Add to this increasing rail fares for passengers and you really have developed a bad reputation. What the general public don’t realise is the amount of work which is going on behind the scenes to help improve the railway. Every year millions of pounds are dedicated to innovation and research, safety and security. The public talking points tend to be how late a train is or the condition of the carriages. While both important areas of discussion, they keep the industry from sharing more about the work it is doing for fear of negative reaction. Instead quietly working away in the background and continuously taking the flak because it can’t work fast enough. From an industry and company perspective providers can act on the feedback and put plans in place to rectify the problems. Make more information publicly available about the plans for development and reinforce good news. Talk more openly about projects as the progress – both the good and the bad, supplying the wider public with the knowledge to inform their future experience and the reviews they give. From a public perspective, users could be more open to good news and acknowledge the work that is taking place. Every person I have spoken to about my time in the rail industry is shocked to find out how much work is taking place and are positive about the progress that has been made so far. People are much more willing to be lenient and patient if they know there is work going on in the background and rail fares are not being used to plump pockets. 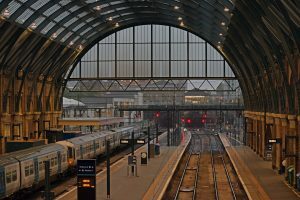 The rail industry is just one of the sectors I have worked in, find out more about which sectors I have experience in.